In this presentation we take a critical look at the context-determined demarcation between the public and private spheres in the realm of land, natural resources and environmental governance in the Mekong Region. We explore the generation of plural meanings of “public” and “private” through development projects and policies, and the implications that such meanings hold for: the actor configurations and power relations that shape how collective and individual interests are defined; how claims to ownership of resources are formulated and legitimized; the spaces within which projects can be debated, contested and governed; and ultimately how benefits, costs and risks are distributed across society. Hydropower dams and large scale land concessions set the context in which we examine these issues. Asia’s cryosphere, the vast stores of frozen water in the high mountains that feed the rivers on which some 1.3 billion people depend, is warming far faster than average, an expert assessment warned recently, adding that two-thirds of Himalayan glaciers could disappear by the end of the century. This and other warning signs make clear the need for a sustainable energy transition in Asia, not only given the urgency of mitigating climate change, but also because renewable energy technologies can help to provide cheap and reliable energy to areas where grid-based provision is unreliable or otherwise prohibited by geography or high costs. A green transformation, if done right, can address poverty reduction goals and improve health and environmental quality. But achieving this requires rethinking many assumptions about the current system that generates and distributes electricity, and its interconnections with a genuinely sustainable society. Read more at this link here. This article was produced from the forum we co-organized with Konrad-Adenauer-Stiftung e.V. and Chatham House on “Powering up Sustainable Development for Asia: The Future of Global and Regional Investment in Asia’s Energy Sector”, which was held in Chulalongkorn University, 25 January 2019. For more information about this forum, please visit the link here. Although water-food-energy nexus thinking can hardly claim to be new wine, the growth of 'nexus literature' in the past ten years is remarkable. It has gained currency as a buzzword with the potential to convene water experts in global jamborees, to elicit books and special journal issues, and to challenge the long-established Integrated Water Resources Management concept as the new champion of integrative imperatives. The book does a great job at showing how a water-energy-food nexus approach emphasises demand-led technological and market solutions, downplays supply-side limits, promotes a technical and supposedly apolitical treatment of trade-offs, and largely ignores the political dimensions that shape control over, and access to, resources. But even in its reductionist form of an optimising tool for cross-sectoral planning or business, the systemic complexity that the nexus seeks to address is baffling, and it is no wonder than in practice empirical work focuses on sub-nexuses using monetary metrics. Carl Middleton of CSDS is the co-author of this book. Renewable energy technologies not only help to mitigate climate change by substituting for carbon-emitting fossil fuels, but also can expand energy security by avoiding exposure to the volatility of fossil fuel markets. Renewables can also help provide cheap and reliable energy to areas where grid-based provision is unreliable or otherwise prohibited by geography or high costs. The increased efficiency and renewable nature of such energy can improve energy availability, energy security and economic resilience. Last year saw the second highest level of investment in global clean energy, according to Bloomberg New Energy Finance (BNEF), at US$333.5 billion, despite falling technology costs. Globally, the solar sector in China dominated, with a total of $132.6 billion of investments – leading to over 50 GW of additional solar capacity. In regional terms Asia, largely China, continued to dominate the global landscape. According to the Institute for Energy Economics and Financial Analysis (IEEFA), Chinese sustainable energy investment oversees has doubled in the last three years and now stands at $44 billion. The importance of the accelerated deployment of renewable energy and energy efficiency is also reflected in UN Sustainable Development Goal 7: Affordable and Clean Energy, and it is a central goal for many countries in Asia. It is also increasingly an important focus for, and aspects of, countries’ and institutions investments in Asia. China has put emphasis on the green ‘Belt and Road’ and 'South-South environmental cooperation', for example. In Myanmar, a Chinese government partnership with a Beijing-based environmental NGO pledged to provide US$2.9 million worth of solar panels and clean cook stoves. Leading Japanese companies are also looking overseas for opportunities in the renewable energy sector, including in India. Aid programs from a range of countries, including the US, Japan and Korea are also seeking to support sustainable energy transition. Civil society groups and communities are also calling for – and working directly towards – an energy transformation across the region, including promoting decentralized electricity generation, energy efficiency, demand side management, and more participatory power planning processes. Countries across Asia also have a great deal of their own experience to draw on in promoting renewable energy that serves the needs of the poor. Address whether learning across different regional contexts on the implementation of cost-effective, reliable clean energy might bring benefits for clean energy development. 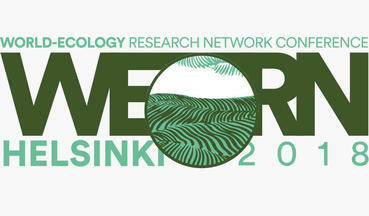 Create a network of interested experts who can develop further research proposal(s) and collaboration on these topics. Develop plans for the creation of a network with an understanding of the opportunities for common research and activities. To register for this forum, please e-mail us your name, organisation, and position to Anisa Widyasari (CSDS) at communications.csds@gmail.com. The seat is limited and registration will be accepted on first come first served basis. Scientific warnings on climate change are more urgent than ever, but global talks lack ambition. Meanwhile, renewable energy industries are booming, and China claims it is building a green "Belt and Road". Is it enough? Can Asia power up a sustainable transition? 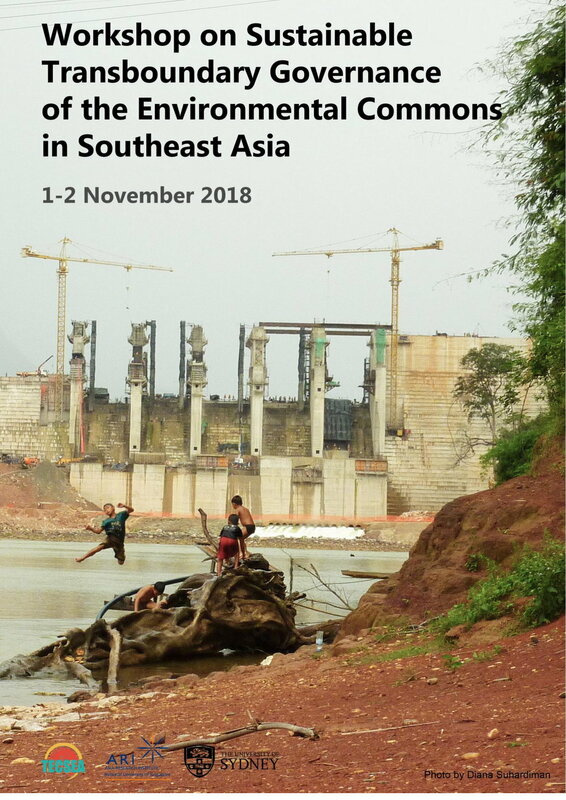 Sustainable Transboundary Governance of the Environmental Commons in Southeast Asia is a workshop organised by the Asia Research Institute, National University of Singapore. This multi-disciplinary workshop will explore key issues in sustainable development with particular reference to the ecological commons in Southeast Asia from a transboundary governance perspective. For more details about the workshop, please visit this link. For more details on this session, please take a look at the abstract here. The Mekong region is facing a period of rapid change shaped by a significant shift over the past decade in its relationship with China. New pathways of regional integration and intergovernmental cooperation have emerged, including through the Belt and Road Initiative and the Lancang Mekong Cooperation Framework. Associated with these shifts have been deepening trade between China and the Mekong Region, and growing flows of investment from China into a range of projects including large dams, railways, and industrial projects. Whilst these trends reflect a geo-economic shift, longstanding challenges on environmental sustainability, social equity, government-investor accountability to the public and public participation remain. Inevitably it seems, China, as a powerful country, will play a key role in shaping the future path of the Mekong Region. This public forum will bring together experts and journalists from China and lower Mekong countries to discuss the geopolitical implications of Chinese investment and regional initiatives in the Mekong Region. It will address the Belt and Road Initiative; the challenges and opportunities in transboundary water governance under the Lancang-Mekong Cooperation Framework, together with other emerging cooperation issues; and debate by regional journalists about the trends, challenges and successes for Southeast Asia’s media on reporting on China’s role in the Mekong Region. This book launch is a part of the conference "Graduate Studies in the Disruptive Society: Innovation in Human Rights, Development Studies and Resource Politics" to be held in the Faculty of Political Science, Chulalongkorn University on 12-13 July 2018. See here for further details. In commemoration of the 70th Anniversary of the Faculty of Political Science at Chulalongkorn University, a special conference centered on the idea of academia in activism will be held at Chulalongkorn University from 12-13 July 2018 at the Faculty of Political Science Main Building. Thailand’s companies have become major investors in neighboring countries, including in agribusiness, hydropower, mining and various forms of industry. Thailand’s companies are backed by government policy, and typically financed by Thai commercial banks as well as, sometimes, Thailand’s Export Import Bank (Thai Exim). Thailand’s regional investment has furthermore been facilitated by various regional economic integration programs, including the Asian Development Bank’s Greater Mekong Subregion Program and more recently the ASEAN Economic Community. As one of the major economies of mainland Southeast Asia, Thailand has sought to positioned itself as central to economic regionalization. Given that Thailand itself is embedded within a wider global network of production, its companies’ investment in neighboring countries’ resource extraction and commodity production can also tied to a wider global political economy. Whilst it seems that investment, commodities, goods and natural resources flow readily across borders, the same cannot be said of access to justice. In this panel, empirical case studies will be presented of Thailand’s cross-border investments that have in the process resulted in environmental and social harms, and in some cases violated human rights. The panel explores the various processes and arenas that have emerged as communities and civil society have sought redress and access to justice. These arenas have included in the national courts of the project host country, but also through various formal and informal cross-border processes that link to Thailand, including via Thailand’s National Human Rights Commission (TNHRC), and in one example a case ruled upon by Thailand’s administrative court. Meanwhile, a report of the TNHRC on the Dawei Special Economic Zone in Myanmar led to a Thai Ministry of Foreign Affairs recommendation in March 2016 that the government should set up a mechanism for the United Nations Guiding Principles on Business and Human Rights for Thai companies investing overseas. Thus, a wider array of international norms is also brought into play, reflecting the legal pluralism that nowadays governs cross-border investments. This also brings into focus a question of the extra-territorial obligations of Thailand with regard to the investment of Thai companies. This panel will critically evaluate Thailand’s investment role in the region through the lens of transnational social and environmental justice. Through empirical case studies on agribusiness, hydropower and special economic zones, the political economy of these investments will be explored in order to understand the production of injustice and human rights violations. The papers will ask: what are the roles, opportunities and challenges for public interest law, national/ regional human rights institutions, other transnational soft law mechanisms, and civil society to protect and promote human rights on Thailand’s investments? Abstracts can be downloaded here (see page 7; session 53). Conference details are available here. the MA in International Development Studies Program, Center for Social Development Studies (CSDS), and the Faculty of Political Science Chulalongkorn University. Many contemporary development challenges in Southeast Asia are complex and inter-related, including environmental degradation; migration; and social inequality. To appropriately understand these challenges and identify novel insights and innovative solutions, transdisciplinary approaches are required. Not only does this therefore require new research methodologies and new skills for researchers and practitioners, but it also requires universities to develop new curriculum, teaching/ learning materials, and programs. The Fostering Multi-Lateral Knowledge Networks of Transdisciplinary Studies to Tackle Global Challenges KNOTS project aims to contribute towards meeting this challenge. The three-year project was initiated in October 2016, and is a collaboration between seven universities in Europe, Thailand and Vietnam: the University of Vienna, Austria, which is also the project coordinator; Charles University, Czechia; University of Bonn, Germany; Chulalongkorn University and Chiang Mai University, Thailand; and Ho Chi Minh City Open University, Southern Institute of Social Sciences, and Vietnam Academy of Social Sciences, Vietnam. The project is funded by the European Commission’s ERASMUS+ programme.